An immediate brain crunch ensued, for experience has shown, possessing an enthusiastic interest in trying new food products, that it would be mere seconds before my grandson, the J-Dude, would be asking if we could get them, bright red and green Mexican tortilla chips. Being a little savvier nearing ten years old, instead of asking for the chips, he quickly suggested that we might use these for ‘Christmas Nachos.’ No self-respecting, admiring, grandmom would turn down such a clever idea. 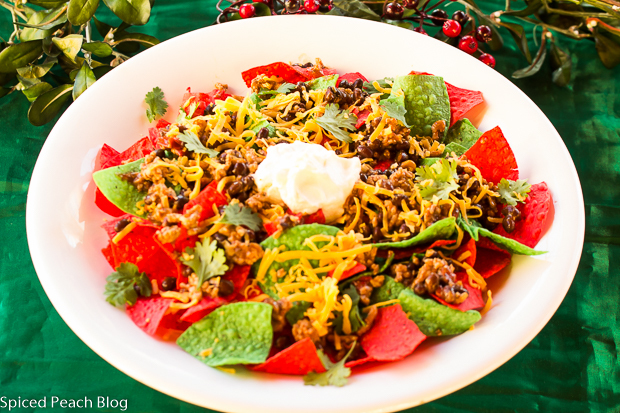 With so few ingredients today’s recipe is great for Cooking with Kids: Festive Ground Turkey and Black Bean Fiesta Nachos, nice for the bigger kids in your life too. It worked out rather nicely that the Bush’s Grillin’ Beans even had ‘Fiesta’ in the name, a perfect tie in for the season. The added chilies provide an extra bite, heck, you could even break out the cheez wiz and stir it into the mix, but we stuck with our simple preparation for the day. Readied for sharing on a Friday afternoon after school I set the camera for a quick photo shoot before the whirlwind. But once the buddies arrived, there went the Nachos, and, my photo shoot with the Dude, displaying his tray of brightly colored ‘Christmas Nachos.’ Ah well. 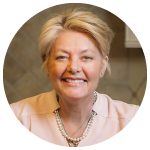 These are the sorts of little things I don’t worry about these days, having developed an easier go on the flow, which seemed to magically have happened, simply taking on a role of any self- respecting, admiring, grandmom. A colorful and festive choice for children to prepare for a holiday gathering, tasty for adults too! Cook turkey in a skillet until just done, draining any excess grease, sprinkle in salt, pepper, and chili powder, stir. 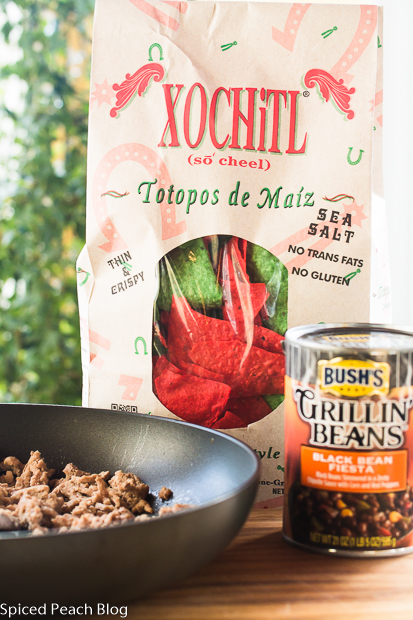 Add the whole can of Bush's Best Grillin Beans: Black Bean Fiesta, along with the chilie peppers blending well and cooking until hot, check seasoning. Place Red and Green Mexican Style Chips onto a large platter. Spoon turkey, bean, and pepper mixture on top chips, sprinkle over the cheese topping with a dollop of sour cream, garnishing with cilantro leaves. 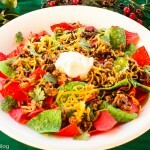 This entry was posted in Appetizers, Cooking With Kids, Holiday Favorites and tagged Bush's Black Bean Fiesta for Nachos, Cooking with Kids: Festive Ground Turkey and 'Black Bean Fiesta' Nachos, Ground Turkey and Black Bean Fiesta Nachos Recipe, Red and Green Tortilla Chips for Christmas season parties. Bookmark the permalink. Post a comment or leave a trackback: Trackback URL. These Christmas Nachos are fun, Peggy. I love your go-with-the-flow life; it suits everyone well, doesn’t it? Hope all is well! Hi Kelly, Thanks much, these turned out to be fun and delish, the flow is easy with the grandkids. Love this one and it sound s easy to make. One of my best dishes is a low fat ground turkey sloppy joe mix I make once in a while. Phil recently posted…Olives! Hummus! Babaganoush! Peri Ela on the UES of NYC. Hi Phil, this is a quick and easy snack, and its festive colors make it perfect for holidays too. Ground Turkey Sloppy Joe’s sounds delicious! Merry Christmas to you and all of your family!